Last modern and bright ground floor with private pool. Front garden of 37m2 and backyard of 72m2. 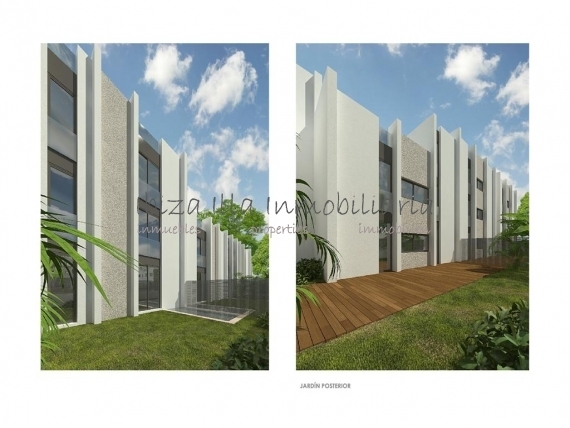 Constructed surface of 115m2 with 3 double bedrooms and 2 full bathrooms (one en suite). Living room of 31m2, modern kitchen with access to the garden. High quality finishes, underfloor heating, air conditioning. All air conditioning with geothermal energy. Included underground parking space in sale price. completion time estimated May 2019. Estimated housing delivery late 2019 early 2020. Ask for conditions!